Developing robots that behave like us is one of the holy grails of modern robotics. And although recent advances in AI technology, human mimicking and automation have brought us closer than ever to that goal and gave machines a better sense of how to navigate their surroundings, there is a lot to improve in the way they work and interact with humans. But fear not! A European initiative founded in 2012, dubbed RoboHow, comes to take up the challenge by creating systems that should help robots learn and share information with each other (even by using actual language), mimicking human learning processes. The aim of the platform is to do away with pre-programming our machines to perform certain tasks, and to teach them how to put information together, use it, and remember it for the future – to “program” themselves. The German robot PR2 – backed by the RoboHow team – is an example of a machine designed to take advantage of this new approach. The PR2 is engineered to process written instructions from websites like WikiHow and then physically perform the associated tasks. 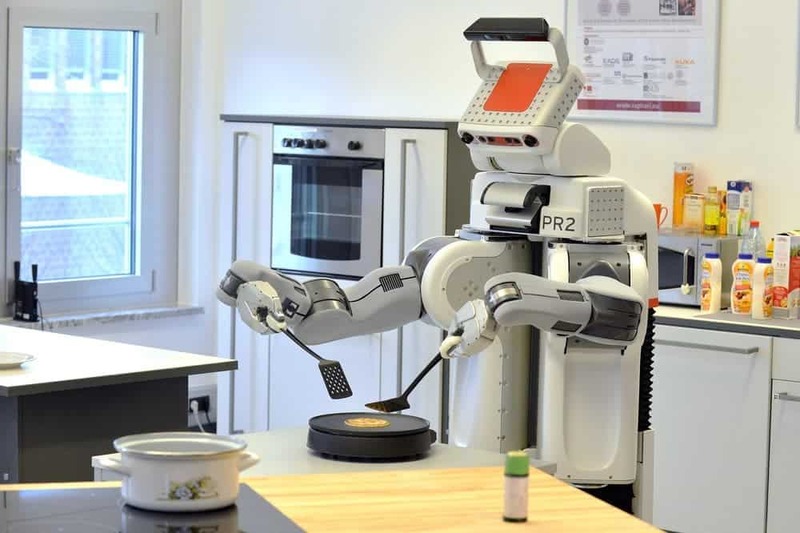 After being tested in a bar tending setting, the robot is now interested in the kitchen – specifically pancakes. That may seem like a small task, but it requires an intricate framework of prior knowledge of micro-tasks that humans take for granted — such as the amount of pressure required to open a container. 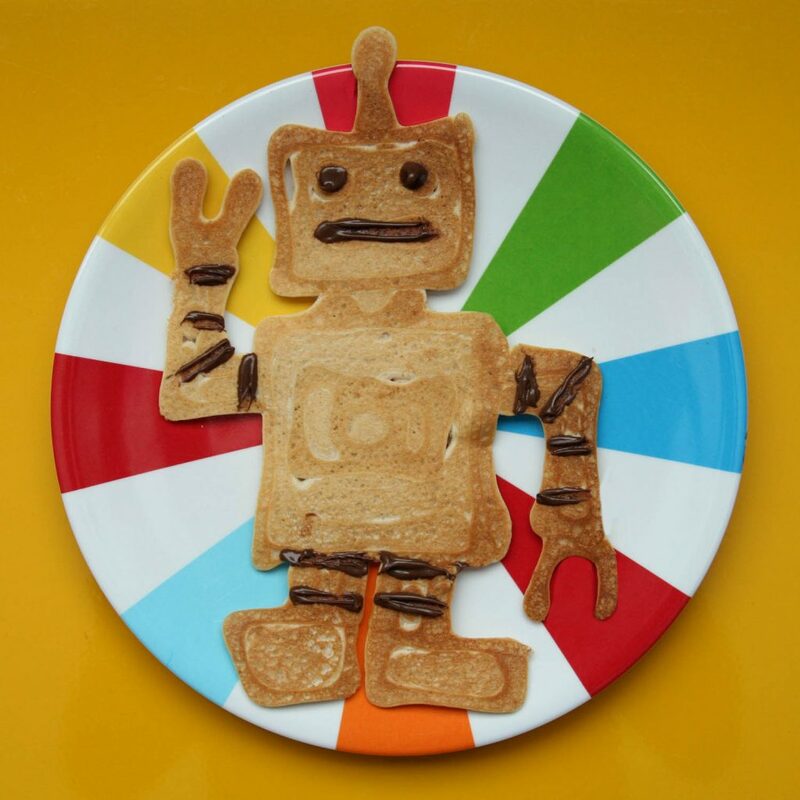 We should have all known the Robot Revolution started when we saw this pancake. Ideally, the PR2 would gain that knowledge through experimenting, use it in its environment, and communicate what it has learned to an online database called OpenEase. This would create an open, easily accessible repository of growing knowledge for any robot to tap into and learn from. MIT Technology Review researchers said they are also considering implementing techniques that would allow robots to learn from observing humans at work, performing certain tasks. One such approach would be studying virtual-reality data after humans have performed such tasks wearing tracking gloves. The ultimate goal would be creating a set of robots that could adapt to changing environments and instructions and react in an appropriate manner. The biggest barrier is relaying the semiotics of language into algorithm. Bridging that gap would be a giant step forward in developing robots that learn and grow like humans.